Everyone wants to know what the iPad 3 will look like, and the media is going on overdrive trying to get details. A iPad 3 concept video is an obvious by-product of all of this and Aatma Studios has created a great viral video of how an iPad 3 would look like according to, well their own creativity. Many people are predicting that the iPad 3 concept video is at least few years down the line, but Apple’s ability to continuously surprise people can blow away minds in their upcoming product launch this Wednesday (March 7.) Some features that are doing the rumor mill include retina display, a thinner version of the iPad and many more exciting features. A studio put up this video late Feb 2012, and has already received over 2 million hits – it is hard to say what spurned their creativity or if they are just a team of Apple fan men/women but the video is seamlessly integrated and shows what technology can do. If you thought iPad 2 has all the features, and nothing much can be added, the iPad 3 concept video proves you wrong in the first few seconds. Remember what people said when the iPod came out (There is nothing much left in improving the music player), and we all know how that panned out. Given the history of Apple products there is no doubt millions of people will buy the iPad 3 and the next version and so on. 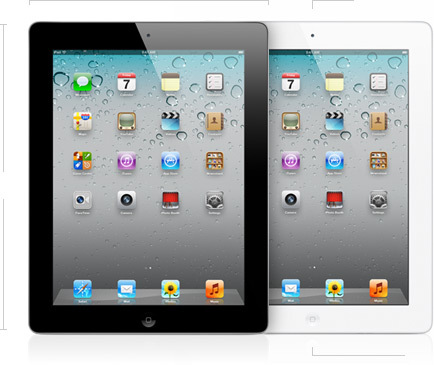 Are you looking forward to the Ipad 3? Will you buy the iPad 3 if it has specific features? Share you views on the iPad 3 concept video and the upcoming launch with our readers.